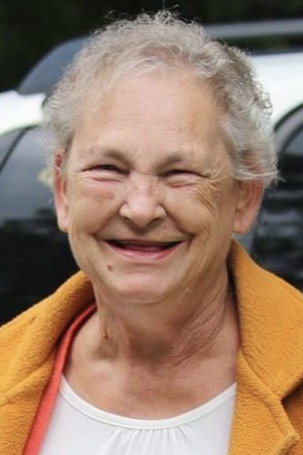 Rebecca M. "Grammie" Reyan, 71, of East Graceville Road, Everett, PA; passed away on Saturday, March 23, 2019 at UPMC Presbyterian Hospital, Pittsburgh, PA. She was born on July 25, 1947 in Breezewood, PA; a daughter of the late Arthur J. and Phyllis E. (Truax) Blackstone. She was formerly married to Robert V. Reyan. She is survived by children Darlene married to Sim Grimes, Everett; Robert "Travis" Reyan married to Eileen, Everett; Michelle married to Mike Crooks, Everett; six grandchildren Michael Reyan, Levi Grimes married to Kaila, Austin Roat, Hallie Roat, Mishayla Crooks and Mitchell Crooks; nine great grandchildren Taj Reyan, Gavin Reyan, Jonah Reyan, Kirstin Feathers, Kolson Feathers, Lilliann Grimes, Knight Grimes, Addicus Weist and Leland Donaldson; siblings Roma married to Boyd Swindell, Everett; A. John Blackstone married to Mary, Everett; Nancy married to Randy Price, Everett; Phyllis Hall, Everett; and Kathern married to Henry Cottle, Everett. She was preceded in death by grandson Wade Grimes. Becky attended Mt. Chapel Church and always enjoyed singing hymns and worshiping God. She waitressed for over forty years working at Family House Restaurant in Breezewood and lastly Kountry Kettle. She enjoyed crocheting, reading and being with family. Grammie was a giving person always willing to help others and put her family first. Friends and Family will be received on Tuesday, March 26, 2019 from 3-8 P.M. at the Akers Funeral Home, Inc., 299 Raystown Road, Everett, PA 15537 and on Wednesday from 10:00 A.M. until the hour of service at the church. Funeral Service will be held on Wednesday, March 27, 2019 at 11:00 A.M. at Mt. Chapel Church with Pastor Ronald Hott officiating. Burial will be held at Mt. Chapel Cemetery. If friends so desire memorial contributions may be made in memory of Rebecca to the American Diabetes Association or the American Cancer Society.